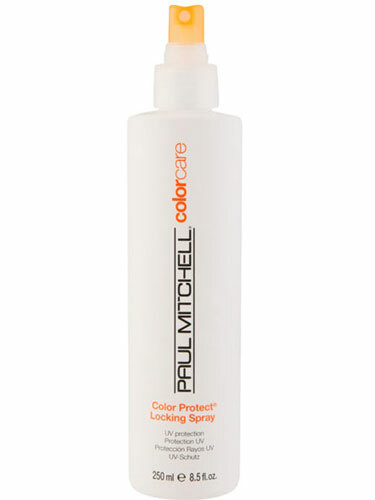 Powerful UVA and UVB protection helps prevent colour fade. Locks in and extends the life of hair colour. Makes hair look conditioned and super shiny. • Sunflower extract provides sun protection and keeps colour from fading. • Powerful conditioning agents and extracts add moisture and shine. Spray onto clean, damp hair. Comb through evenly. Do not rinse.